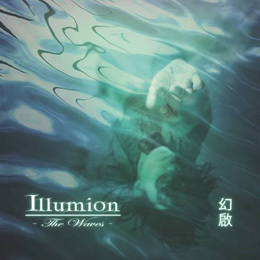 Illumion from the Netherlands present a new album: 'The Waves'. Intricate progressive music with enough (feminine) balls to deviate from what is often perceived to be the norm. This leads to a record full of surprising elements, while still surprisingly even and balanced. No matter the Chinese Spike Fiddle or other really nice touches like flamenco-like handclaps, the music of Illumion keeps its pace. This at times makes it a peaceful affair, but sometimes one also wishes for some more fireworks. And not necessarily in the keyboard department, where the love for cheesy traditional prog sounds is sometimes professed too much. But these are minor remarks to an interesting and very welcome band, bringing a refreshing take on thoughtful music. The warm and powerful vocals of Esther Ladiges also add a lot of value to the educated musicianship on display. Fans of progressive rock with an open ear should give 'The Waves' a listen.